For my STEP project, I participated in a study abroad program in Antarctica. With the program being offered from the school of Environmental and Natural Resources, we examined the human impact on the natural environment. We spent 10 days on a ship travelling to different islands with an additional 3 days total before and after in Argentina. Visiting Antarctica allows for much personal reflection due to the isolation and unbelievable marvels everywhere. As such, even though I have always enjoyed travelling and plan to do much more in the future, this program has encouraged me to travel in any free time I have possible. Examining the sustainability of humans in Antarctica has led me to want to incorporate sustainability more into my major. There were several specific instances that led to personal transformations throughout my study abroad program. The first main instance occurred when we first saw land at around 1:30 am. Nearly the entire ship was asleep due to breakfast beginning at 7:00 am the next morning; however, my roommate was awake due to sleeping earlier that day. He woke me and my other roommate up due to his amazement of its sight. I was hesitant in interrupting my lessened sleep to see Antarctica initially; however, he said it was worth it. As I ascended the stairs to the observation lounge I began to see land through the windows. Immediately I was awestruck and rushed towards the windows to see closer and in more detail. The magnitude of the land, the icebergs, and everything in sight was humbling and I cannot describe the contrast and beauty of it all. Eventually we went outside to observe the changing landscape as the ship slowly proceeding along the coast. With few colors and no man-made objects to scale the landmasses it was interesting to see icebergs and the mountains to evolve as we saw them from different angles. Perhaps, the most amazing experience of this night was the sunset, which never actually set. I had never seen a sunset like it before and there were so many colors and so many unusual shapes that I could not imagine would come from a sunset. I spent so much time looking at the colors and shapes evolve that I lost track of time and we ended up spending about an hour and a half outside in the freezing weather. The amount of beauty that these sights showed me made me realize how beautiful the natural environment can be and caused me to want to appreciate more of it. On a similar note, another significant moment was on one of the islands we went to. We hiked up this hill with snow so deep and light that we fell a couple feet through it every other step. Once we got to the top, we sat down to observe our other-worldly surroundings. Eventually, one of our tour guides suggested for us to be quiet for a couple of minutes. This was amazing, since there were practically no other sounds. I had a similar experience on the ship one night. We were circling around a bay while the engine was only humming. I decided to spend some time outside after working on an assignment for the program. Once I stepped outside I stopped in my footsteps because I heard no sounds besides for the quiet humming of the engine. After absorbing my surroundings for a few moments I quickly gathered some students to share my experience with them. Standing outside observing the amazing landscape with extremely still waters was transformative. I enjoy being busy and having a tight schedule to get more accomplished but moments like sitting on top of the island and on the ship in silence encouraged me to relax and take in these amazing sights and examine the intricacies rather than look at the landscape and move on. In relation to my project on human impacts on wildlife, I felt ambivalent about our impact. While our research suggested that humans, particularly visitors, have a minor impact on wildlife. Nevertheless, it was unfortunate to see the potential that future impacts may have on wildlife. This encouraged me to ensure that I try to prevent harm to the natural environment and try to live more sustainably. Getting to experience the silence in Antarctica and observe the mostly undisturbed natural environment in Antarctica has led me to enjoy seeing and learning more about the natural environment. Previously, I was mainly interested in visiting cities and learning about various structures, particularly as a structural engineer. Antarctica has led me to see the beauty in nature and want to experience more authenticity. Additionally, the lectures and other coursework has reinforced my view that learning about and researching places before visiting yields a far more rewarding experience that travelling without any background. In the winter of the 2015-2016 school year, I had the opportunity to travel with BUCK-I-SERV to the city of Antigua, Guatemala with 10 other OSU students. BUCK-I-SERV partners with two non-profit organizations, HANDS and Constru Casa, to bring students in to build houses for families living in poverty in Guatemala. There are a few areas of consideration before a family can be approved for housing such as proof of income, willingness to work, current living conditions, and other various factors. On this particular trip, my peers and I constructed a home on the outskirts of Antigua for a single mother of two and three additional family members. In 36 hours, with help from three masons and the mother’s son, our group constructed over half of the house. We learned how to lay foundation, mix cement, and literally build a house from the ground up! Immersing myself in the city of Antigua has allowed me to learn parts of the culture I never thought I would know. Living in the city gave me the opportunity to brush up on my Spanish skills. I learned several new Spanish words each day and by the time I came home I would find myself speaking Spanish with family and friends. I even go to Hebrew, a language I have been studying most of my life, class and struggle differentiating between the two. Not only did I learn some of the Spanish language on my trip, but I also learned a lot about the food from Guatemala. Each day our host mother, Elvira, would make us breakfast, lunch, and dinner. We would eat fresh fruit and delicious Guatemalan meals such as Tostadas and a group favorite, “chicken heaven.” I made an effort to learn about each dish and even came home with a few recipes! One heartbreaking thing I learned from being in Antigua was how different life can look outside of America. On the outskirts of Antigua, where my group and I volunteered, we passed homes made from bamboo posts and tin roofs. The water running to each home was not clean and we had to buy water from the grocery store to drink. In America, I take for granted having a roof over my head, access to clean water, and an overall safe environment. Traveling to Guatemala opened my eyes to the disparity between the United States and third world countries. Each time I reach for the faucet handle I can’t help but think of Guatemala. Studying Arts Management and Hebrew has introduced me to the non-profit world and allowed me to dive into a culture outside of the United States. However, participating in this trip has allowed me to have firsthand experience with both of those topics. I have always known that I wanted to spend my life travelling and helping others, but this trip has truly solidified those feelings and helped me set a goal for the future. I have already scheduled another volunteer trip abroad and cannot wait to immerse myself in another culture while helping those less fortunate than myself. This trip has had an incredible personal impact on me. My group and I worked each day from eight in the morning to four in the afternoon. Although the work was quite strenuous and required a great amount of physical labor, my group and I remained optimistic and gave it our all each and every day throughout the week. I remember one of my peers to be exceedingly motivated. This individual’s desire to work hard instantly rubbed off on to me and drove me to push myself every day. My group’s (seemingly) endless amount positivity and perseverance not only impacted my experience on the trip, but has made an extremely significant impact on my life today. I have come back to America with a more positive and motivated outlook on life. Instead of questioning myself and my surroundings, I have become more confident and motivated to succeed. It is very difficult for me to pick my favorite part of this trip, but I would have to say that it was bonding with the people of Antigua. No matter where I was in the city, I could’ve been in the market, working on the house with the masons, or simply staying in with the host family, I always felt a part of the community. When going out to the markets or on the streets of Antigua, my peers and I felt like we were home. Everyone opened their shop doors to us and no one made us feel out place. When working with the masons, I would struggle a lot with the language barrier. However, instead of getting angry about not understanding each other, we would laugh together and use our bodies as a tool of expression. With my host family, Elvira and Enrique, I would stay in after dinner and help them clean up just to hear their stories. They taught me about love, loss, and how each person who stays in their house becomes a part of their family. I truly felt at home in Antigua. The people there are genuine and full of love and that was no doubt my favorite part. Merriam-Webster defines a laboratory as “a place providing opportunity for experimentation, observation, or practice in a field of study.” The most prominent version we encounter is for science: chemicals, test tubes, dissection tools, things that help us break the world around us down into smaller pieces to analyze and rebuild or recreate. But by the above definition, the whole world qualifies as a laboratory, if one takes the opportunity to use it. Through the Fisher College of Business Marketing Global Lab, I was able to do just that. The Marketing Global Lab was a second session fall semester course followed by a capstone trip to Singapore. During the class, we not only did marketing case studies and textbook readings to familiarize ourselves with the pains and gains of going global as a corporation, but we were split into teams and assigned projects to complete. These projects came from big companies, asking for research and fresh, relevant ideas for marketing strategies, which we would ultimately present to the respective company executives during our week in Singapore. My team was assigned to Johnson & Johnson’s Acuvue brand; talk about high stakes and pressure. I have worked in teams before; no one in Fisher is a stranger to group projects. But never before had I had so many obstacles to a team bonding together, let alone getting the job done. We had very little guidance, save a one page prompt, and had to find a way to put a lot of moving pieces together in a concise, compelling manner. To make matters worse, a member of our team dropped halfway through the course. In theory, this should have made things easier in terms of coordinating and communicating, but we were still struggling to channel all of our research and creativity into a persuasive presentation that did our work and ideas justice. We did not manage to do it in time. The dress rehearsal for the Singapore presentations took place during finals week of fall semester. Not an easy time for anyone, but my group seemed to have an especially difficult time getting our act together. We had a presentation for the rehearsal, but with as horribly as that went over, we might have been better off to skip the rehearsal entirely. Everything was very scripted and our PowerPoint a weak visual aid. That alone could not have been so bad, but when team members choose to go off script in a presentation they do not know like the back of their hand, there is no coming back. We were embarrassed, furious with ourselves for being so underprepared, and sick of the project that had turned into such a guessing game we were no longer sure there was any merit to our ideas. Luckily, they call it a “rehearsal” for a reason: we rallied. Over break, team members worked diligently to rewrite the presentation. Our PowerPoint got more than a facelift – something closer to completely reconstructive plastic surgery. We upped our presentation skills game and arrived in Singapore a new team. Well, half of us did, at least. One of our teammates got stranded in London, a city not in his original flight itinerary, and was 24 hours delayed to Singapore. It was not the worst set back we had faced. To be honest, I think we were all excited to present the heart and soul we had poured into the new, improved presentation to get approval. Once more, things did not go well. Our first presentation to our professor at the hotel in Singapore resulted in more severe makeover work to be done. The flow and order of our presentation was completely rearranged once, twice, then returned to its post-Christmas break product all in 24 hours. Our speaking parts did not change immensely, but parts were added and removed in certain places, some spiels were inverted and reordered and then returned to the first iteration. We were all so mentally shaken up in regards to the material we created and knew inside and out that we were, quite frankly, rather stripped of confidence. We had a lot of help, a lot of people cheering for us. The MBA mentors on the trip offered time and advice for improving our product. They patiently listened to us work through the presentation in a rough draft form, as we struggled to wrap our minds around the final version. For the third time in the course of this experience, we did not make the cut. By the time we re-presented to our professor, our brains were fried, and we were terrified of failure. We were unable to communicate the really intriguing research we had done, let alone the creative applications we had developed to apply this research to a marketing strategy. It did not matter that we had been fully functioning two days prior – we had to do it now. And that meant figuring out a different way to execute the task at hand. Our presentation was morphed into a sort of moderated panel. When we arrived at Johnson & Johnson’s headquarters, the entire class situated itself around a long conference table. My team sat in the middle, the three of us with an MBA mentor on either side. One of the mentors introduced our project and team members and was meant to transition us between segments of the presentation, but we took it away. We presented like I had never heard or seen my teammates present before. The time, effort, sweat, and tears we had poured into this work was evident in the confidence and exuberance with which we discussed our research and ideas with the President of Johnson & Johnson’s Acuvue Brand and his team. Our twenty-minute presentation was followed by 45 minutes of Q&A; the executives were genuinely curious about what we had learned in our research, and in hearing more about our proposal and the potential benefits it would pose for their business. Even once we broke for refreshments, I continued to speak with executives about our findings and ideas; they genuinely cared and appreciated the journey we had made and the findings we brought to them. Our team finally made it out into the sunlight, and I could not have adequately imagined how warming the success would feel. I learned a lot through this experience. I learned to deal better with teams; never before had I had such a difficult task in encouraging cooperation and guiding the work we had to do. Maybe that was because none of us really knew where we were going until we got there. Maybe we underestimated how tricky it would be to do our preparation justice in the actual presentation. I am not sure. But I cannot control other people, and that was extremely evident over the course of this project. I think adversity was our saving grace; we had fallen down together so many times that we were all bound and determined to conquer this challenge once and for all, no matter how our work was critiqued nor what setbacks we faced. I learned to put my head down and barrel through. It did not matter how frustrated I was with the situation, how aggravating our lack of momentum might have been, how much I thought the world was against us; I just had to reset and start again. The alternative option was quitting, and I was not going there. I learned to deal with criticism and disrespect, to separate the hurt from the constructive points and take only the latter with me. I learned that one does not always receive a pat on the back for a job well done, and that a finale could be all the more grand for the mountainous hurdles that might get in its way. Dealing with and rising from failure is the most valuable lesson this experience taught me. Bodybuilders cannot bulk without tearing down the muscles that exist, and a person cannot grow without being knocked down and rallying to come back strong. I cannot please everyone, but I can put forth my best effort and commit to a task entirely, pushing through the ups and downs. Sometimes adversity wins out, and no matter how hard I work the outcome may still be lousy. But even then, there is effort and resilience to be proud of – I just have to be sure that I leave everything I have on stage with the final product. If I do my best, and do not give up, then I have every right to take pride in my work. The opinion of a boss or of teammates can be taken or left, but when show time comes, I have to be satisfied with my own performance. For my STEP experience, I traveled to Peru to take a three week Tropical Biology and Primatology field course in the Amazon rainforest. During my stay at Los Amigos Biological Field Station, I learned all about the diverse flora and fauna of the rainforest through classroom lectures and hands-on field activities. I was introduced to different field research skills such as radio telemetry, GPS, tree-climbing, and mist-netting to better understand how field research is carried out. Since my time in Peru, I am more willing to take risks. I have learned that I can handle more than I think. I did not meet up with my group until I arrived at the hostel in Puerto Maldonado. I had to navigate a couple of foreign airports and manage to get a taxi whilst not knowing any Spanish. It was definitely the most stressful traveling experience I have ever had but completely worth it. By living in the rainforest for three weeks I learned that I don’t need a lot to survive. We only had electricity for 3 hours every day but it never felt like a problem. It was more like I was being set free from technology to go out and experience the beauty of the natural world. I also learned how wasteful my way of life can be and that I need to make changes to fix that. Living with so little, I realized how many of the “things” I own are not necessities. I have always been a cautious person and tended to do as I was told. Neither of which is necessarily a problem but it has stopped me from doing things in the past. Going into this trip, I really had no idea what to expect and that absolutely terrified me. Somehow I managed to make myself take the risk and I don’t regret it for a second. There were many parts of this trip that terrified me; going to a country where I didn’t speak the language, spending three weeks with a group of people I have never met before, and living in a place so far off the grid that we had to take a 3 hour boat ride to get there. I was able to do all of those things and loved every second of it. I surprised myself in so many ways and I am a more adventurous person because of this trip. Every time I think about Peru, I have a smile on my face but sadness in my heart. I adored my time in the rainforest and will treasure the many good memories I have but I am saddened by the fact that I may never have a chance to go back there and that future generations will probably never have a chance at all. This crash course in field research made me realize that my idea of becoming a field researcher was not for me. But this trip also left me with a passion for making choices in my life that will make a difference for the health of our world. I am still trying to figure out what my future career will be, but it will have something to do with conservation of species and their habitats. When I heard about STEP, I immediately began to think of all the possibilities available to me. From research to creative projects, I felt like I was given the opportunity to do anything, the opportunity to make any dream come true. Upon some careful consideration, I decided to fulfill my dream to study abroad, immersing myself in my language of study. 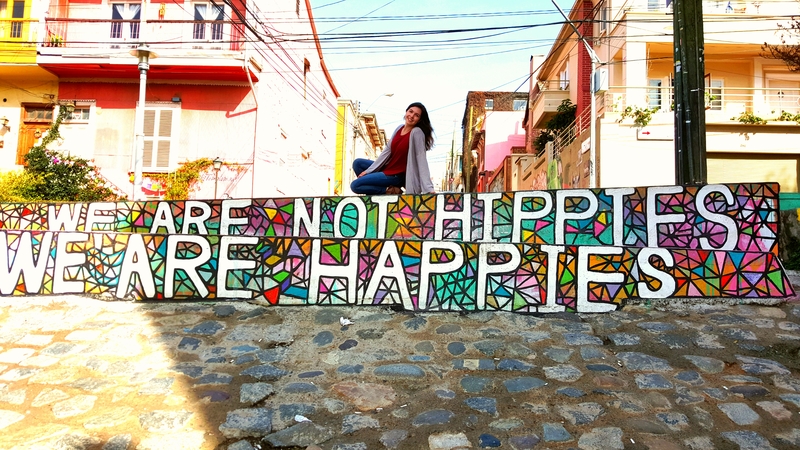 I travelled to Valparaíso, Chile and enrolled in La Pontificia Universidad Católica de Valparaíso to take Spanish courses for my major and to live in the language I love each day. As I became increasingly familiar with the culture I was thrown into during those nearly 6 months abroad, I found myself becoming incredibly self-critical. However, this ability to criticize myself and where I came from was not disruptive to my life, but rather it helped me to enrich my experience. Each day I would encounter some difference that could shock me or cause me discomfort. Instead of allowing myself to simply remain shocked or uncomfortable, I would force myself to reframe the situation and determine why I felt that way. By always asking why, I allowed my innocent curiosity to guide me towards self-discovery. An example of when looking at a situation in a different light led to a productive self-criticism began upon my arrival to Chile in the middle of July… the middle of winter. In Valparaíso, since the weather is relatively mild, many of the buildings don’t use any climate control. In most places I went, my classes and homestay included, there was no heat for the majority of my first-ever winter in July. However, instead of just saying to myself Why do they not have heat? I can see my breath in here! I went a step further and asked the people who I was meeting how they dealt with the winter, and why they didn’t use the heaters in their home. Not only are Chileans saving money and the earth by refraining from heating the whole home, but they demonstrate the idea that sometimes we need to change in reaction to our environment, not change the environment to accommodate us. So, I put on a sweater or two and quickly became accustomed to and appreciative of this way of life. This theme of becoming accustomed to the environment instead of trying to change that environment would guide me through much of my study abroad experience. 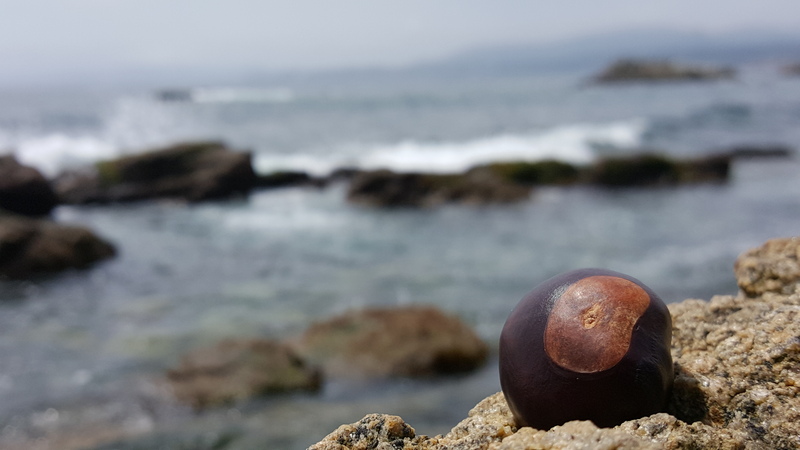 This photo I took in Horcón, Chile won the Buckeye Pride Worldwide Category in the 2015 International Photography Exhibition at Ohio State. As I attended classes, I could feel a difference of teaching styles in Latin America: professors expect students to be self-motivated and to come to class with their own ideas, then take into account the words of the professor. This is only made more difficult when all the courses are instructed in Spanish, which can at times cause some confusion due to misinterpretations. While the teaching method in the States was and is effective for me, the various changes in teaching styles (ahem, Spanish only) and the expectations allowed me to expand the way in which I approach my studies. 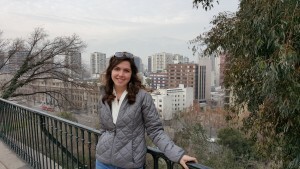 Instead of simply arriving to class with the readings in mind, in Chile I learned to arrive with questions, inter-disciplinary connections, and even opinions which helped me to better engage with my studies. My accommodation to the Chilean classroom has travelled with me back to Ohio State, and I can feel and see the difference each day as I continue my studies. 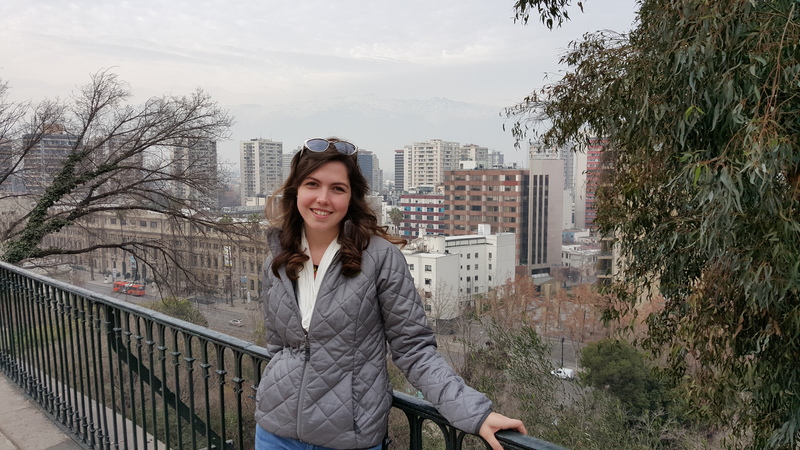 In addition to my classroom experience and academic maturation, I found myself accommodating to the Chilean way of life outside the classroom, too. Engaging in English-Spanish Conversation Exchange programs was a highlight of my experience, and it was the way by which I met most of my Chilean companions. While my Spanish was far from perfect, my partners’ English was also still developing, so we were on equal ground. What people don’t always advertise about study abroad, in this scenario, is the amount of ridiculous descriptions that you will have to make to get your ideas across language barriers. From describing U.S. pancakes as “soft, flat waffles” to explaining the rules of american football to making up Spanish words for something I forgot how to say, I became comfortable with looking a little silly. However, the frustration of being unable to communicate with one another often subsides into mutual hearty laughter and unforgettable conversation. Thus, this live struggle, instead of relying on dictionaries, allowed me to react to the world around me without the expectation that others would help me. 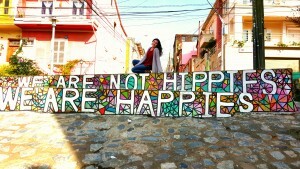 Exploring the colorful city of Valparaíso isn’t complete without a photo at this street art landmark. In all my experiences, I was developing a maturity and independence that I had never before been able to develop. While I never was one to look at the world as a place that would cater to my needs, in my daily life, I used to be the kind of person that would turn up the thermostat if I get cold. Now, my first instinct is to put on a sweater. The capacity to adapt to your surroundings is not only valuable in terms of becoming more versatile. Adaptability also allows you to go out with a goal that you’ll achieve despite all the chaos the world can bring. For me, this has translated into the pursuit of conducting research abroad for a thesis to be completed by my graduation this December. My ability to change my plans at a moment’s notice or to adapt to necessary changes has allowed me to seek this incredible opportunity, and it will allow me to continue its pursuit as I get closer to achieving my goal. These lofty academic goals are complemented by my personal goal to live, study, and work abroad. Clearly, these plans are inspired and supported by my incredible experience in the long, thin country at the end of the earth. So as I look to my not-so-distant horizons, I’m packing up my bags, grabbing a sweater, and going out into this chaotic world to seek my latest winter in July. To learn more about my experience abroad, watch my video Planning for Chaos on YouTube or visit my personal blog fancyfreelindsey on Word Press. My work blogging for ISA about my time in Chile can be found here, and if you’re interested in seeing a brief project written in Spanish, check out La Lindsey Enjoyada.